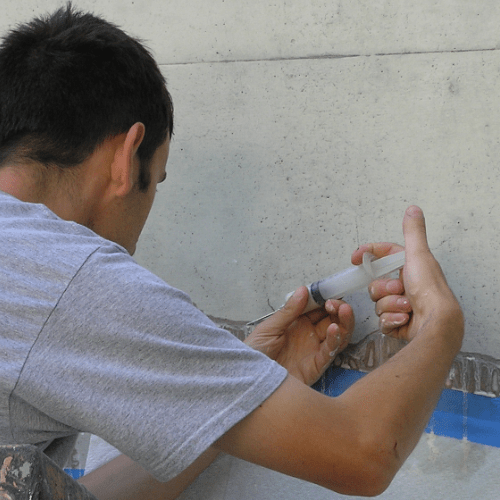 Marion redefines concrete restoration. Not only do we execute historic concrete restoration and replication, our conservation techniques have proven successful in remedying issues with modern concrete installations. Paint removal and cleaning techniques are first tested in small areas to determine the most effective technique that is the least invasive. This test is the basis for pricing. Removal of paints, other coating, staining, biological growth, and neutralizing efflorescence are typical services. We utilize dispersed lime injection, produced in-house, color-matched to the concrete and colored sealants to execute successful repairs. The key is to understand the composition of the original material and the forces that caused the crack. Unique concrete block units, chimney caps, mantels, custom patching, and replication of surface textures on flat and vertical work are within our ability to fabricate. Stains typical to our work include algae growth, efflorescence, rust, surface grime, and oils.